The best sleep of your life is just a trip to Best Mattress away! With 22 locations scattered across Las Vegas, Mesquite, and St. George, you are sure to find an affordable mattress that will change the way you sleep. If you are ready for the best sleep of your life, visit one of our locations for a brand-new mattress. 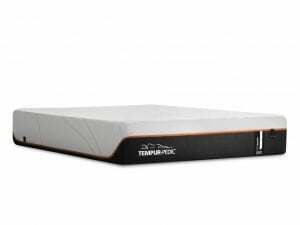 We carry a variety of mattresses for every kind of sleep preference, and we are extremely proud to carry the brand-new Tempur-Pedic Pro Adapt Medium Hybrid. This is the perfect mattress for you if you like things not too hard, and not too soft. Tempur-Pedic is an ever-changing, ever-evolving company that is committed to adapting with you. The Tempur-Pedic technology is designed by real-life people with real-life sleep issues and challenges. 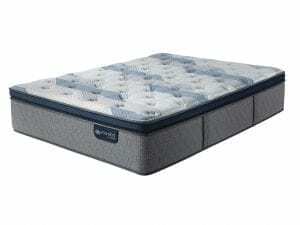 They understand that every body is different, and work hard to provide mattress options that work with your comfort levels to provide you with a quality sleep for nights to come. Tempur-Pedic promises continuous and innovative technology, and the Tempur-Pedic Pro Adapt Medium Hybrid is a perfect example of that. If you are looking for a tempurpedic in Las Vegas, St. George, or Mesquite, visit Best Mattress today! What’s Different About the Tempur-Pedic Pro Adapt Medium Hybrid? Here at Best Mattress, we know that there are a lot of different memory foam mattresses available on the market. That’s why we are committed to making sure that your decision is a good one! 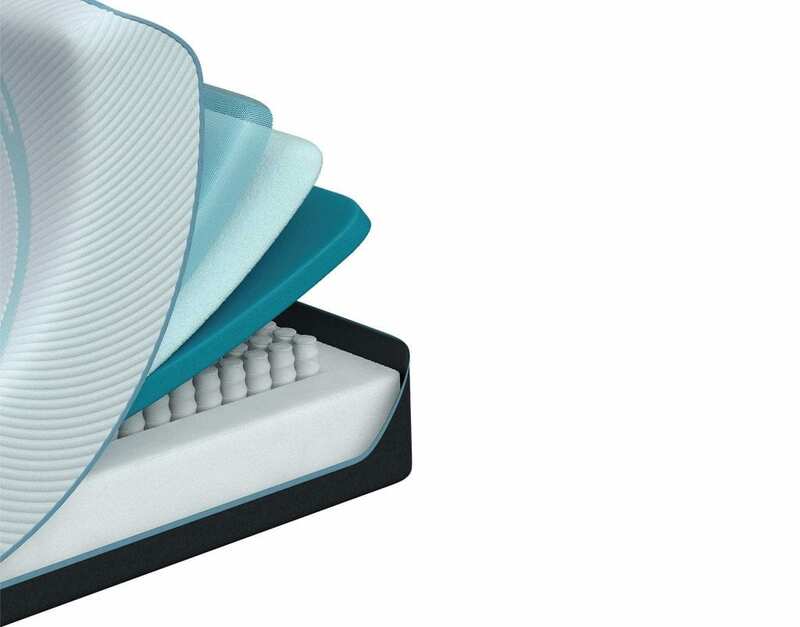 This is what sets the Tempur-Pedic Pro Adapt Medium Hybrid apart from other memory foam mattresses on the market. Easier: Do you feel like you can never get comfortable on your current mattress? The Tempur-Pedic will help you get comfortable, easier. 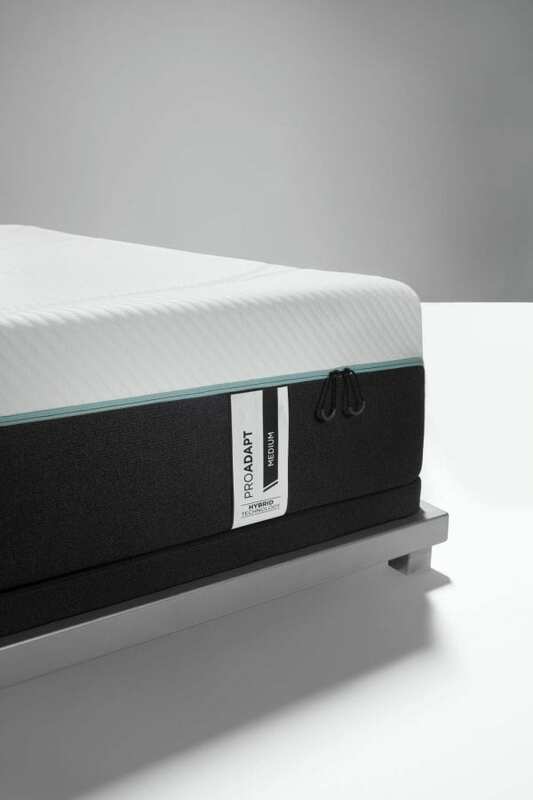 The memory foam technology absorbs your body weight and evenly distributes it away from your pressure points. With pressure point relief like this, it’s easy to get comfortable in no time at all! Deeper: Falling and staying asleep with a partner can be tough, but not with a tempurpedic in Las Vegas! The Tempur-Pedic technology absorbs motion transfer so you (and your partner) aren’t disturbed by one another’s natural sleep movements. You’ll fall into a deep sleep fast, and you’ll wake up completely refreshed and rejuvenated. Faster: Most mattresses don’t form to your body as you move throughout the night, but the Tempur-Pedic Pro Adapt Medium Hybrid does! 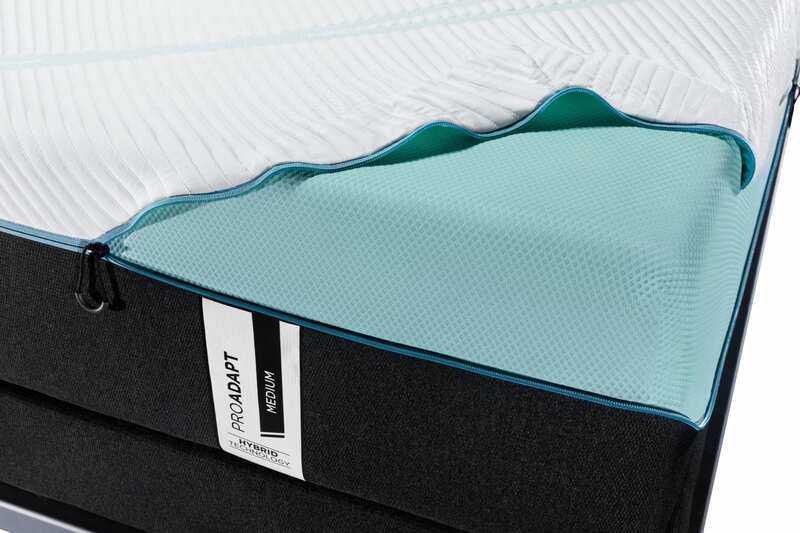 With every movement your body makes during the night, your Tempur-Pedic mattress will move with you. Every curve, every contour, and every sleeping position will be adequately supported with the revolutionary Tempur-Pedic technology. 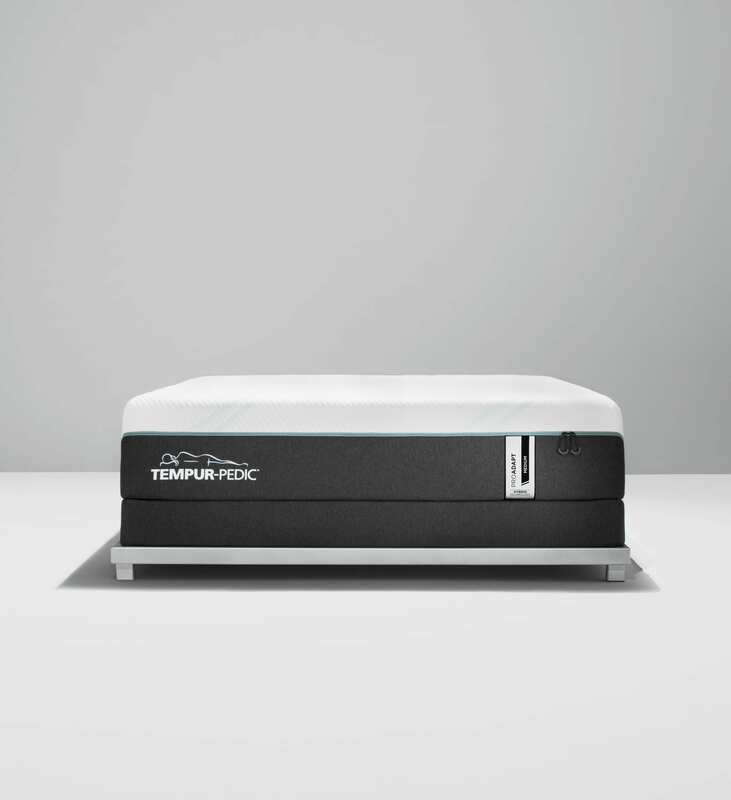 With a Tempur-Pedic, most sleepers report that they stop tossing and turning, and they fall asleep faster than you would on their old mattress! Cooler: Don’t let the unfortunate rumor that memory foam mattresses are hot, stop you from testing out a tempurpedic in St. George today! 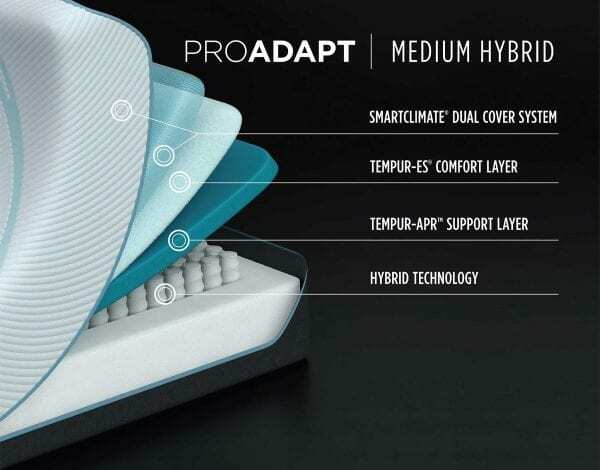 The Tempur-Pedic Pro Adapt Medium Hybrid is made with a revolutionary Cool-To-Touch mattress cover that keeps the heat flowing away from the body, so you stay cool all night long. 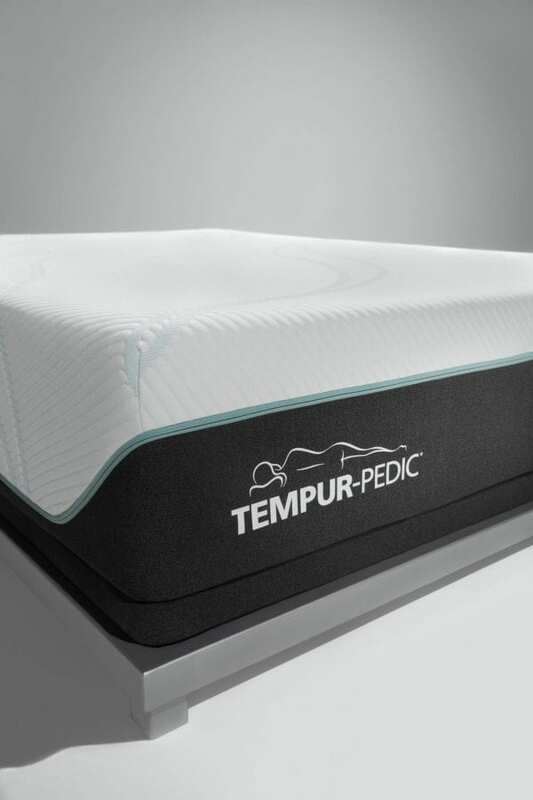 What’s Different About the Tempur-Pedic Technology? Smart-Climate Dual Cool- To -Touch Cover: Starting at the top layer, the Smart-Climate Dual Cool-To-Touch Cover is what keeps sleepers cool and completely comfortable. Made with mesh, the fabric moves your body heat away from you and prevents you from overheating in the night. The Cool-To-Touch cover is removable and machine washable, so you can clean it easily whenever it’s needed! 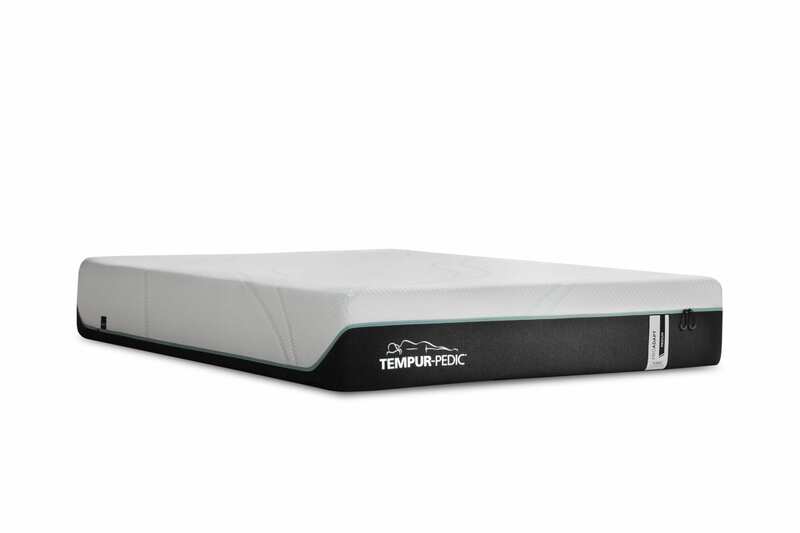 Tempur-Es Comfort Layer: The Tempur-Es Comfort Layer is what provides sleepers with adequate comfort to stay asleep longer. Made by real people at Tempur-Pedic, everything is made with your firmness preferences in mind so you’ll stay comfortable all night long. 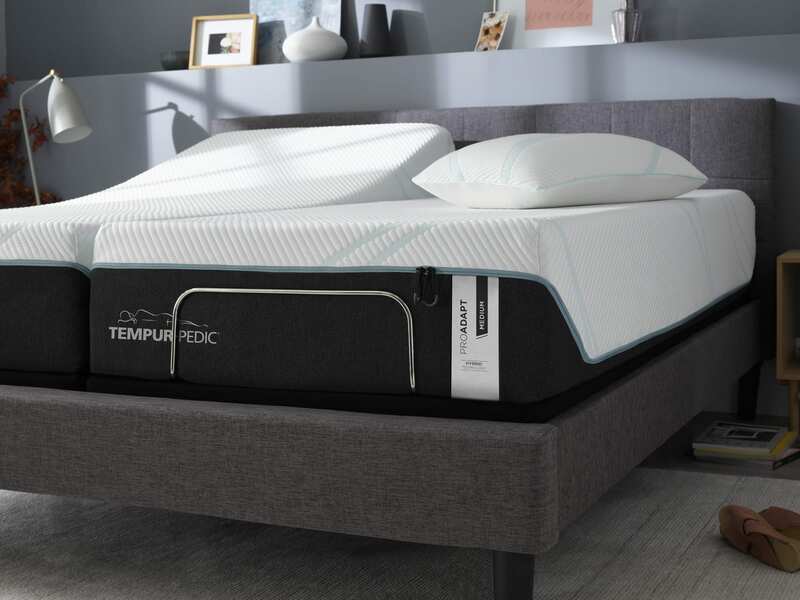 Tempur-APR Support Layer: A good mattress isn’t quality without a layer of tempurpedic support. The Tempur-APR Support Layer is one of the most pressure-relieving, comfortable technologies on the market. The support layer is what helps you fall into a deep and rejuvenating sleep. Hybrid Technology: If you like a mattress that is a little firm, and a little soft the Tempur-Pedic Pro Adapt Medium Hybrid could be the perfect mattress for you. This mattress is made with a hybrid technology that combines the best of a soft mattress with the best of a firm mattress. Perfectly placed Tempur-Pedic spring coils were designed in-house, so the technology is both innovative and original. It can be hard to find a memory foam mattress that comes in your desired firmness. At Best Mattress, we understand that everyone has different sleep preferences so we carry the Tempur-Pedic Pro Adapt line in all firmnesses! 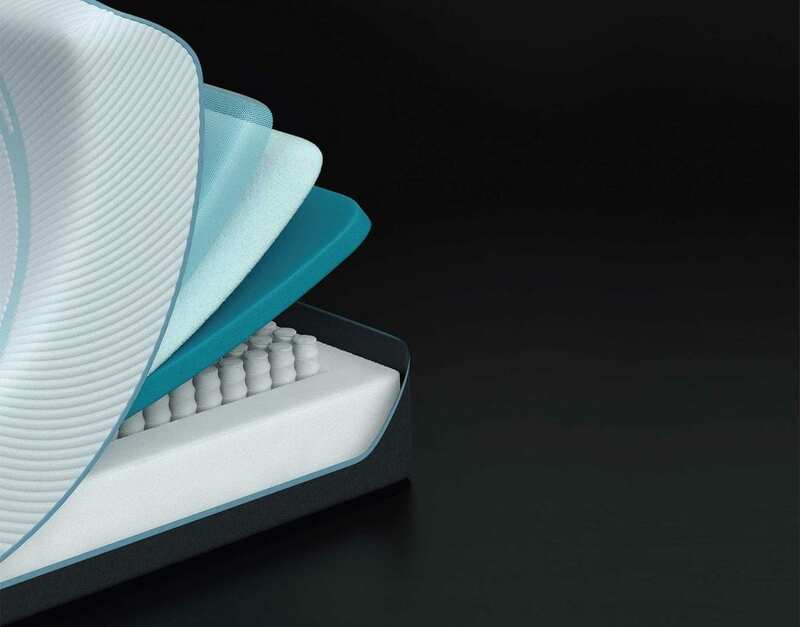 Ask a member of our sales team for more information on the Tempur-Pedic Pro Adapt Soft, the Tempur-Pedic Pro Adapt Medium, and the Tempur-Pedic Pro Adapt Firm. 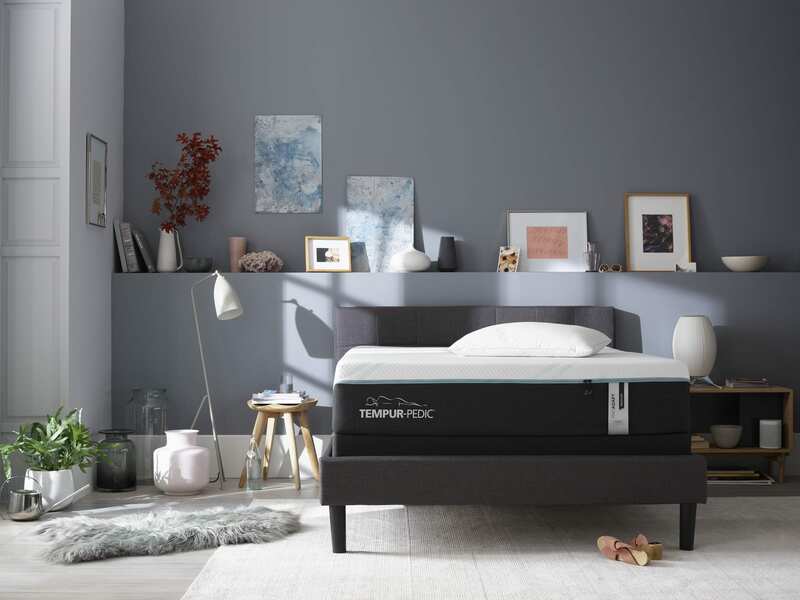 We always recommend that you test the mattress out prior to purchasing, so come down to one of our 22 store locations to see which Tempur-Pedic Pro Adapt is the right one for you! What Else Do I Need for a Good Night’s Sleep? A good night’s sleep isn’t complete without a nice set of fitted sheets, and a memory foam Tempur-Pedic pillow. With four different Tempur-Pedic pillows that are designed for four different sleeping styles and preferences. Test one out in-store, today! Before you head home to try out your new mattress, it’s important that you consider adding a Tempur-Pedic mattress or pillow protector. The mattress protectors are machine washable and help rid your home of harmful allergens. We understand how important it is to keep your investment protected for years to come, and it’s easy to do that with a custom-fitted Tempur-Pedic mattress protector from Best Mattress. Since 1994 Best Mattress has quickly spread to 22 locations in St. George, Las Vegas, and Mesquite, making us one of the best in the area for quality and inexpensive mattresses. We believe that everyone deserves the best sleep of their lives, and we are committed to making the process easier for you. Ask one of our team members about our same day delivery service, our free removal of your old mattress, and free in-home installation. With services like these, it makes the mattress buying process a little more stress-free. If you are ready for a new mattress, and a well-deserved night of rest, visit a Best Mattress location in St. George, Las Vegas, or Mesquite for a brand-new Tempur-Pedic Pro Adapt Medium Hybrid. Call (888) 580-8997 for more information on a new mattress from Best Mattress, today!